I have been an eMeals member for just a couple months short of a year now and I love it. Every week I log into my account, print the menu and shopping list and then I head to the grocery store. I buy a week's worth of suppers for my family of five for just around $50-$70. The plan we are using is the Aldi's family dinner plan. 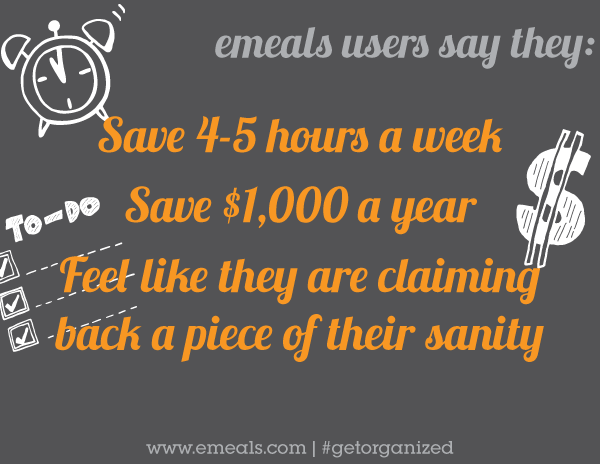 I save around $70 a week on the plan and I save anywhere from 2-5 hours of time too! My family loves eMeals because they get more time with me. My children get to help out at the grocery store because of the convenient way that eMeals lays out the shopping list. 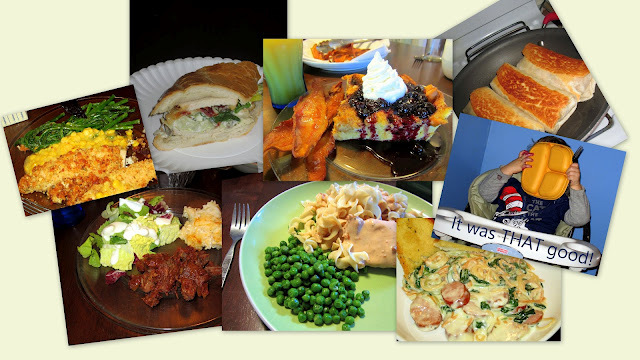 My husband raves about every single meal because they have all been so delicious. I get all the praise LOL but really eMeals deserves it. It's been fun and I don't think I ever want to stop with them. Come January I will be switching to the Paleo Family Meal Plan. I hope you'll check eMeals out too. Save money and time in the new year! 1 year free subscription to eMeals, Paid opportunities via affiliate program, Dedicated blogger support team, Recognition via social media shout outs, Possibly featured in newsletter, Opportunities to submit your eMeals recipes to their blog to be featured, Special Offers, Content including photos, recipes, and more for use on your blog, plus eMeals Connect badge for your blog, possible blogger spotlight and more!